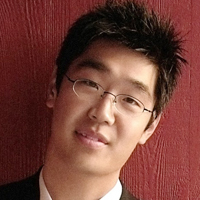 American violinist Soovin Kim is increasingly sought after for the character, nuance, and excitement of his performances as concerto soloist, chamber musician, and recitalist both in the U.S. and abroad. Particularly known for his breadth of repertoire, Mr. Kim typically takes on everything from Bach to Paganini to the big romantic concertos to new commissions within a single season. He has performed in the U.S. with orchestras such as the Philadelphia Orchestra, Orchestra of St. Luke’s, and the Baltimore, San Francisco, and Indianapolis symphonies; in Europe with the Stuttgart Radio Symphony, Prague Chamber, Accademia di Santa Cecilia, and Salzburg Mozarteum orchestras; and in Asia with the Hong Kong Philharmonic and KBS Symphony. He has given solo recitals at Weill Hall in New York, Terrace Theater in Washington DC, Ravinia, Tokyo’s Casals Hall, and the Seoul Arts Center. He maintains a close relationship with the Marlboro Music Festival and is the founding artistic director of the Lake Champlain Chamber Music Festival. In 2014 he joined the faculty of the New England Conservatory. Recent recordings include the critically acclaimed CD of the 24 Paganini Caprices (Azica Records) and a recording of the Fauré A Major Sonata and the Chausson Concerto for Violin, Piano, and Quartet with Jeremy Denk and the Jupiter Quartet. Mr. Kim won first prize in the 1996 Paganini International Competition and was also awarded the Henryk Szeryng Career Award, the Avery Fisher Career Grant, and the Borletti-Buitoni Trust Award.